I got this cutie to keep my spider plush company - in case you didn't know I love bugs. This guy is from the same company that makes a bunch of Pokemon, Miff, and Moomin plush toys. 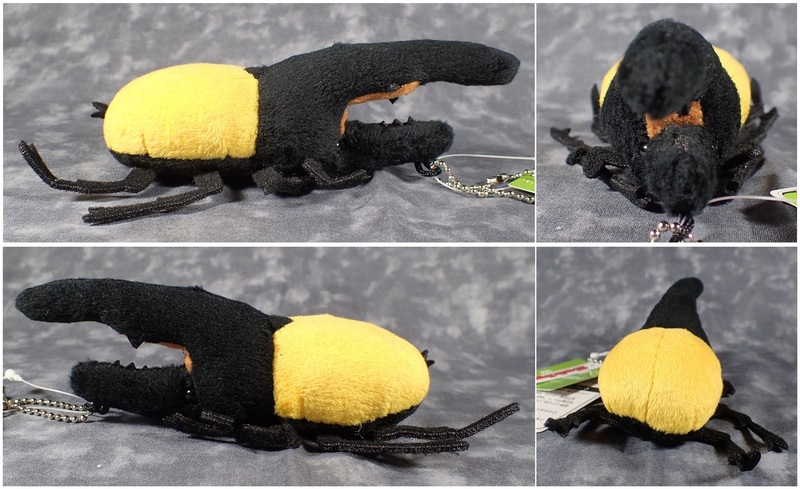 He is nice quality for a little key-chain plush - however if you used him as a key-chain I would be worried about his legs breaking as felt on key-chains breaks and gets worn out very quickly. But he's going to live with my spider plush under my Peace Lily so he will be okay! They also had some other beetles and bugs in this series if you love bugs as well.